Barkley set up Eden Hazard's opening goal before adding his side's second in the 3-0 victory at Southampton on Sunday that briefly moved Chelsea to the top of the Premier League table. 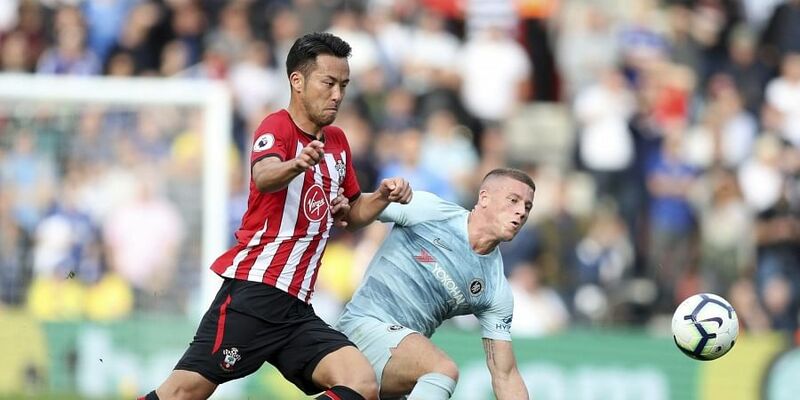 SOUTHAMPTON: Maurizio Sarri believes there is much more to come from Ross Barkley after the midfielder marked his return to the England squad this week with a first goal for Chelsea. Barkley set up Eden Hazard's opening goal before adding his side's second in the 3-0 victory at Southampton on Sunday that briefly moved Chelsea to the top of the Premier League table ahead of the meeting between Liverpool and Manchester City. The 24-year-old, who moved to Stamford Bridge from Everton in January, has been forced to wait for his chance while he recovered from the effects of a serious hamstring injury sustained last year. But Sarri now believes Barkley is nearing a return to his best and, having impressed at St Mary's, expects his player to get better as the season progresses. "I am really happy with him," said the Chelsea head coach. "From the beginning he has improved day by day, week by week, match by match." Barkley was named in Gareth Southgate's England squad for the forthcoming Nations League fixtures with Croatia and Spain, more than two years since he won the last of his 22 caps. Italian boss Sarri added: "I am happy with him and for him, for the national team. He had a very serious injury and now he's improving every day. But I think the best will (is still to) come from him. "I think that potentially he is a great player. Because he has quality, very important from physical point of view and technical point view. "Now he is improving tactically. He will become a very important player in England and for the England national team." Alvaro Morata completed Chelsea's victory with a well-taken third goal that came after a build-up involving 31 passes, the most in any move that has led to a goal in the Premier League this season. Sarri said that was his favourite goal of the game, but while he acknowledged the lead-up highlighted the style of play he is attempting to impose on his side, he believes there is a lot more work to do. "We moved the ball very quickly," he said. "I think one touch, maximum two touches and we arrived at the goal so easily. "I think it's my football. It was my favourite goal and I can see my football in this." There are still areas of concern for the Italian, however. "We need to be able to be in control of the match," he said. "We can do better. Better in the defensive phases and sometimes in the offensive phase. Today we did wrong in two or three counter attacks, four v three and three v two. So we can do better." Sarri continues to play down his side's hopes of challenging for the title, insisting the 30-point gap between Chelsea and champions Manchester City last season is too much to make up in one campaign. Southampton manager Mark Hughes took a different view, saying: "They will always be contenders because of the talent they have. "They're an outstanding team, on the front foot again. "Maybe last year they didn't have that devilment that's in their play at the moment. They are very difficult to contain but I expect us to be better than we were."